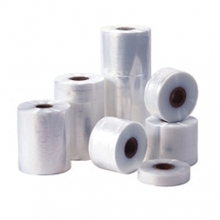 Polythene Tubing & Heat Sealers There are 2 products. 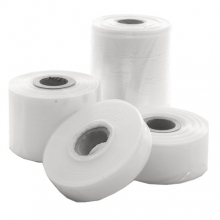 Polythene tubing is like polythene bags that just don’t end… until you need them to! If you have an object that needs a long polythene tube for protection, the only question left to ask is how long? Our tubing can be cut to the exact size you need, and with the long length rolls we supply, you’ll be able create tube after tube after tube. Tailor-made polythene bags are no problem. Simply choose the width of tubing you need and apply a heat sealer for a watertight, secure and permanent seal. Whether you need shallow or deep polythene bags, you can create them in exactly the dimensions to fit the bill. Choose a heat sealer with or without an integral cutter, as you wish. With a cutter is great if you want the convenience of sealing and cutting a polythene bag to size in one smooth action. Without a cutter, you can create a series of sealed pouches of contents, all safely sealed for future use. Our sealers are perfect for on demand sealing, with little or no warm up time and a high quality professional performance that will handle all your polythene sealing jobs, whether you’re using polythene tubing or ready-made polythene bags. 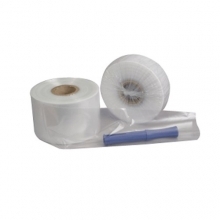 With such a wide choice of polythene tubing widths and polythene thicknesses available you can size your own packaging to suit your product whether you’re packing pin cushions or sofa cushions, locks or lockets, bookmarks or bookcases. 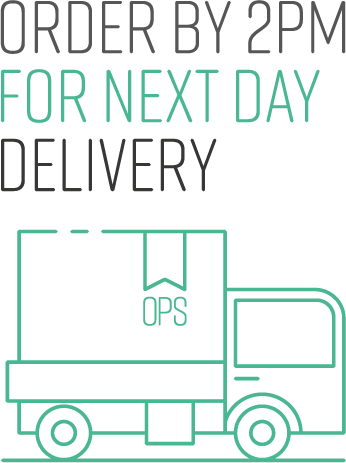 We like to think our one stop shop for versatile packaging brings together a whole high street of traders, united in their quest for the perfect packaging solutions. Medium duty 250 gauge polythene layflat tubing, for cutting to size. Available in a wide range of widths from 50mm to 1200mm. Read the full product description. Heavy duty 500 gauge polythene layflat tubing, for cutting to size. Available in a wide range of widths from 50mm to 1200mm. Read the full product description.